Greetings, anthropologists and aircured tobacco fans. 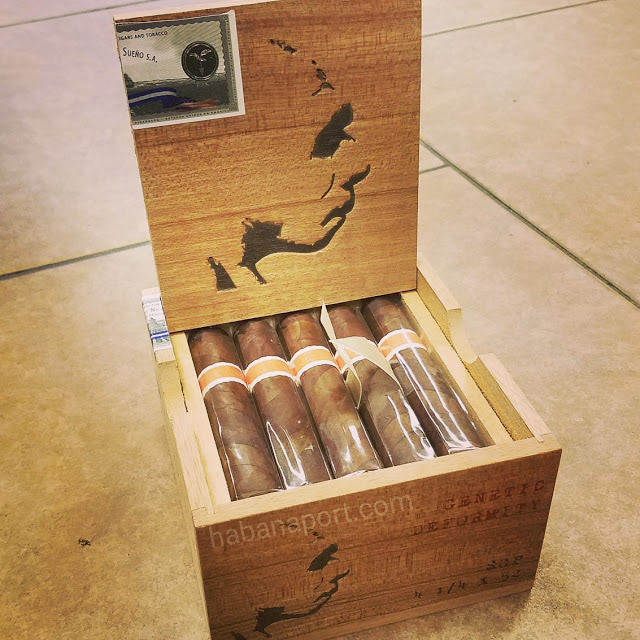 The Neanderthal GD (Genetic Deformity) is a 4.25×52 barberpole cigar from RoMa Craft whose wrapper is from the Cromagnon and Aquitaine lines (Connecticut Broadleaf and Ecuadorian habano). © 2018, Habana Port. All Rights Reserved.